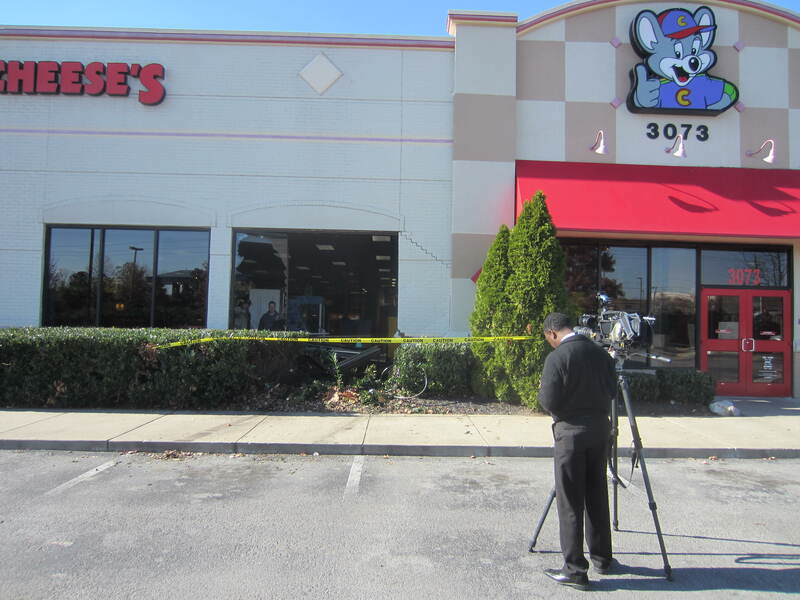 Today, right as I was leaving for my lunch break, a coworker informed me that a car had just driven through the front wall of the Chuck E. Cheese a few blocks away from our office in Cool Springs; the business borough of Franklin, TN- about 20 miles south of Nashville. As a blogger, I make a point to carry my camera with me wherever I go. 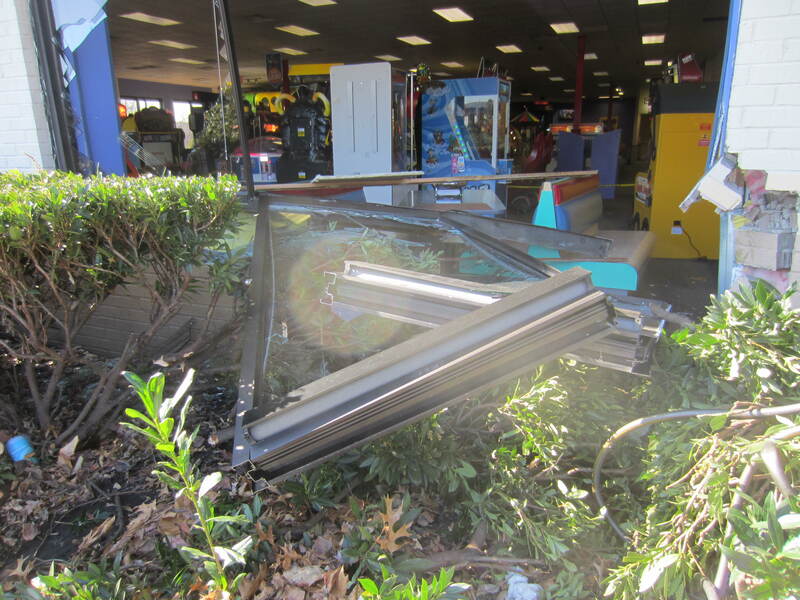 By the time I got to the seen just a few minutes later, the vehicle had already been removed from the building. 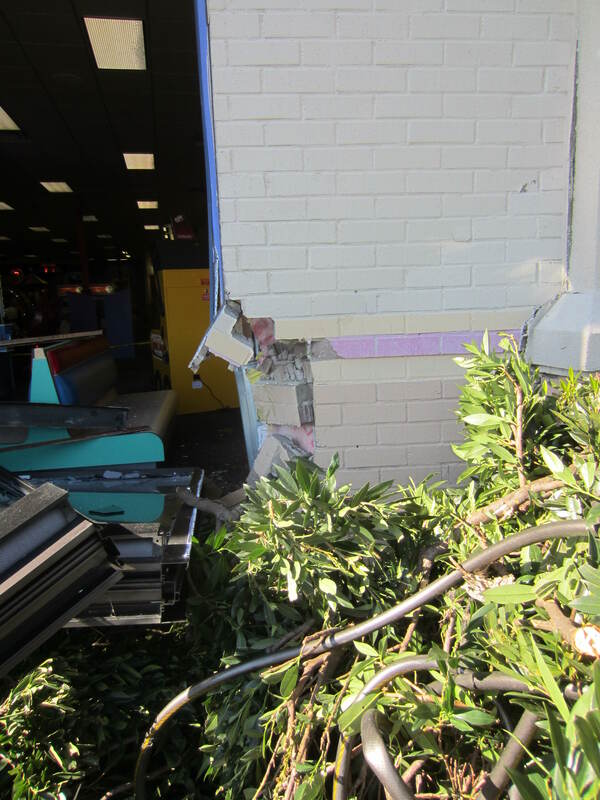 To my surprise no one asked me to leave as I took pictures of the aftermath and wreckage of the Chuck E. Cheese building. As you can see, that’s a pretty big hole. 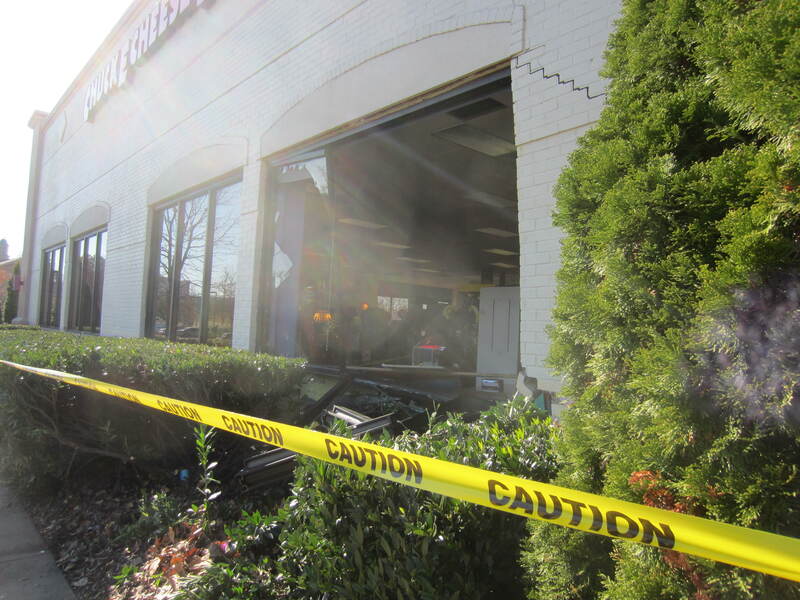 I don’t understand how the vehicle gained enough speed to run over the curb, drive through the hedges, then crush right through the brick wall and windows. It was right there in the parking lot, and that part of it was very small. 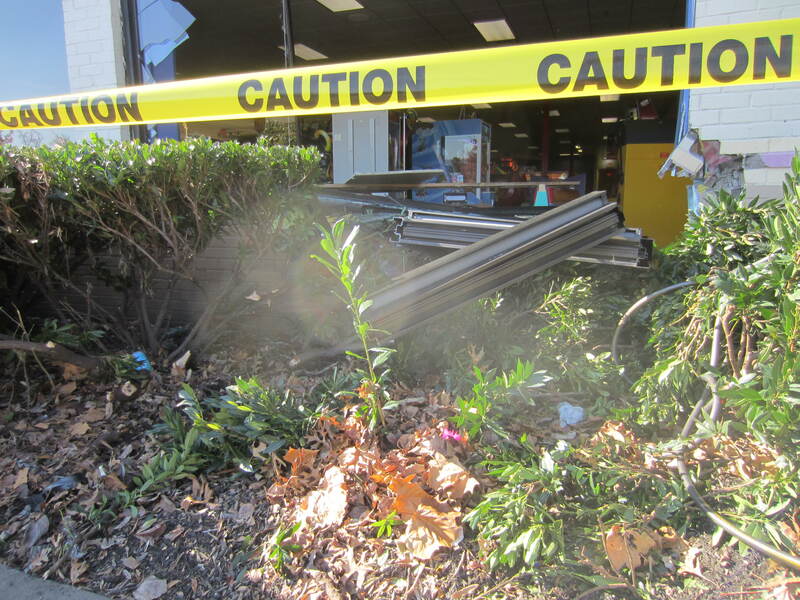 Fortunately, the driver only had minor injuries.